Seasons 52... I Think I Love You!!! Once again I think the title says it all on this one! I just got back from a preview lunch at one of the newest members of the Westshore district, Seasons 52 on this abnormally gloomy rainy cold day here in Tampa, and boy is my belly full! Not full in a stuffed can barely walk kind of way, but full in the sense that I am just right there ya know, which is an awesome place to be! 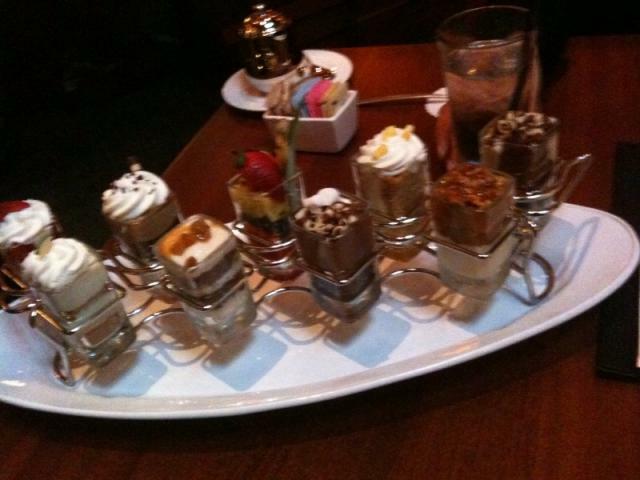 But there I go again rambling, so lets get to telling you a little about Seasons 52. First off I have to just talk about the look and feel of the place when you walk in. For those of you who like to spend time at the bar, this is probably the biggest indoor bar I have ever seen...lol. The entire place has the casual feel of a first class restaurant, and just has a sort of a quiet sophistication about it. I have a feel that Seasons is going to creep into the Tampa Bay nightlife category pretty soon, as its the perfect place to unwind after a long day, bring some friends from out of town and just relax with a few drinks, a girls night out! For the purpose of this preview lunch, we got to order from a pre selected menu of goodies for the appetizer, entree, as well as dessert. To start off I ordered the Housemade Sonoma Goat Cheese Ravioli, and my friend ordered the Grilled Steak & Cremini Mushroom Flatbread. Both items came out very quickly and seeing as how we were both pretty hungry, we scarfed them up and were ready for the next course. Again there were a few options on this menu, but if you want to see for yourself, everything that is offered, check out the lunch menu. Next was on to the entree. I normally only have a salad every blue moon, but when I first saw the item "BBQ Chicken Salad" on the menu, my eyes lit up like fluorescent light bulbs! My friend was in the mood for fish so she ordered the Cedar Plank Atlantic Salmon, and both entrees were amazing. At first we weren&apos;t sure whether to eat the food or simply take pictures of it, as its a beautiful presentation. My salad actually came out in a cylinder type apparatus, which was pretty cool! 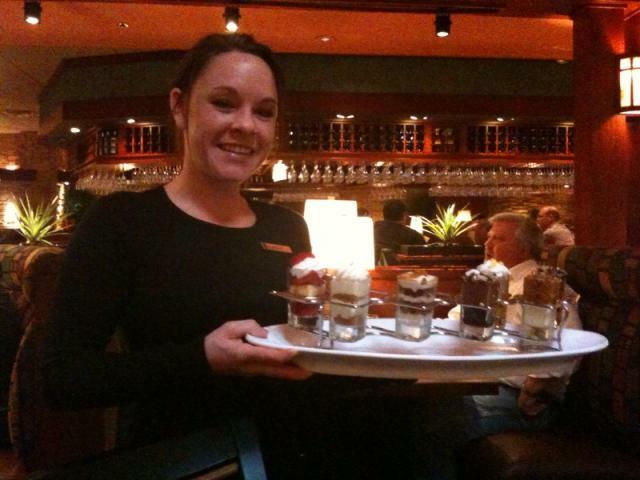 Throughout the meal, our server Cassie was pretty awesome, and you know I hold my servers to a very high standard. She kept my sprite glass full the entire time and was always around when we needed something else. Its the little things like that as far as service that will see Seasons 52 here for a long time! Now onto dessert we went! Cassie brings out this awesome tray of individual servings of classic desserts, sort of like little shot glasses, or dessert shooters is another term I have heard them called. Now some cool things that I failed to mention earlier. Seasons 52 menu is seasonally-inspired with the fresh appeal of the farmer’s market. That is where the name comes from because much of the menu is seasonal, and changes each week during the year, hence the name "Seasons 52." It&apos;s also a pretty good option if you are looking to eat healthy as nothing on the entire menu is over 475 calories, which is amazing considering the options you have! As I said earlier, I was pretty full, but not to the point where I needed to be wheel barrowed out of the front door. I could go on and on about this place, but if you want more info, just check out the website menu area. All in all, you can&apos;t go wrong with Seasons 52. 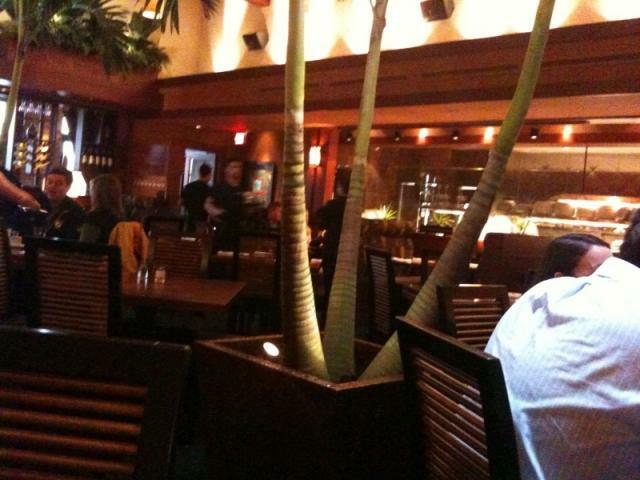 The service is just as good as the food and atmosphere. I&apos;ll definitely be back to dine there again, so I hope you guys will follow my lead and give it a try! Be sure to tell&apos;em Jerm sent you! That&apos;s it for now folks, but stay tuned in for updates on the and Tampa Bay dining and Happy Valentines Day to all you lovers out there!